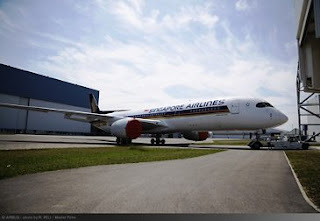 Air101: Singapore Airlines gets its first A350-900 Ultra long Range jet. 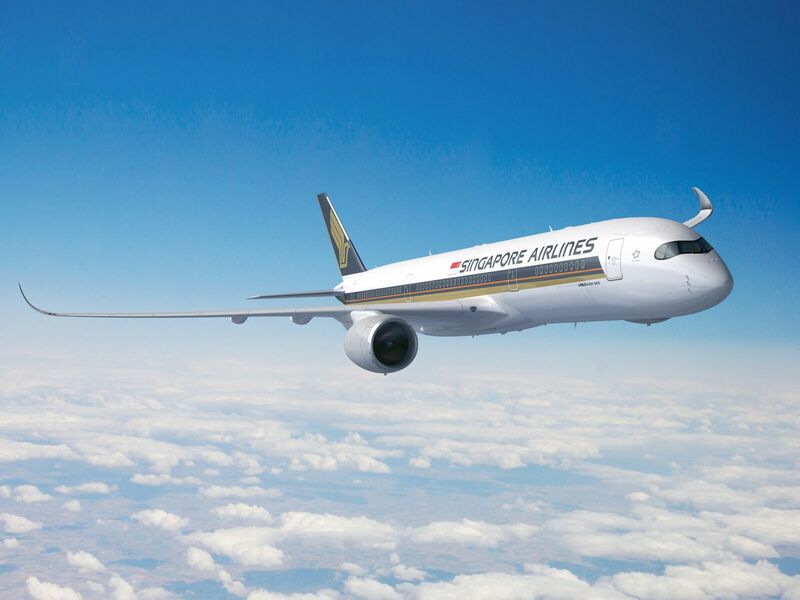 Singapore Airlines gets its first A350-900 Ultra long Range jet. Singapore Airlines took delivery of the world’s first Airbus A350-900ULR (ultra-long-range) aircraft from Airbus during last weekend. The aircraft, looking spectacular in the classy Singapore Airlines livery, is the first of seven A350-900ULRs on firm order and is scheduled to enter normal revenue service on 11th October when it embarks on the world’s longest commercial flight between Singapore and Newark Liberty International Airport. 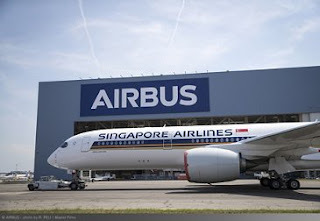 “This is a proud moment for both Singapore Airlines and Airbus, not only because we have again strengthened our partnership, but also because we have pushed the limits with this highly advanced new aircraft to extend long-range flying to new lengths,” said Singapore Airlines CEO, Mr Goh Choon Phong. Singapore Airlines is the launch customer for the new A350-900ULR, which is capable of flying up to 9,700 nautical miles (nm), or over 20 hours non-stop. The flight to New York will cover a distance of approximately 9,000nm (16,700km), with travelling time of up to 18 hours 45 minutes. The aircraft is configured in a two-class layout, with 67 Business Class seats and 94 Premium Economy Class seats. 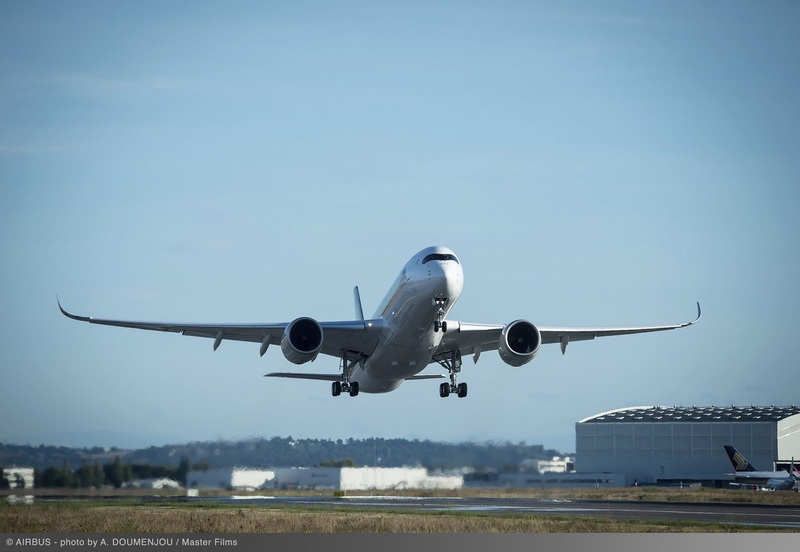 See more photos of the ultra long-range A350-900 below. 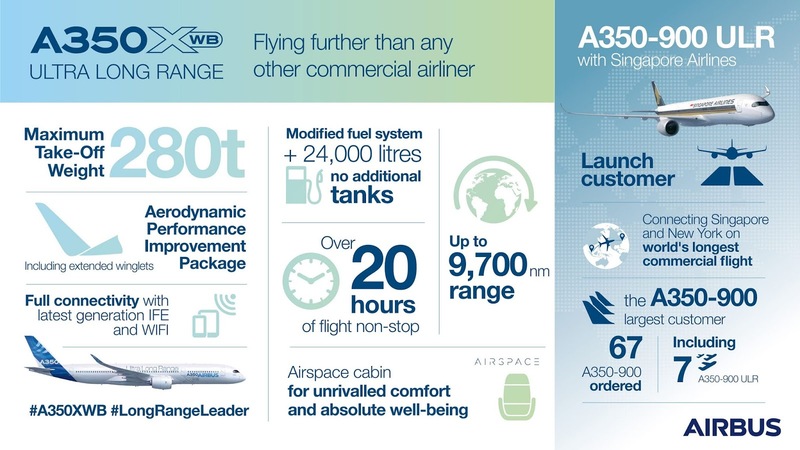 “The A350-900ULR will bring more convenience and comfort to our customers and will enable us to operate ultra-long-range flights in a commercially viable manner. It will help us boost our network competitiveness and further grow the Singapore hub.” Mr Goh Choon Phong said. 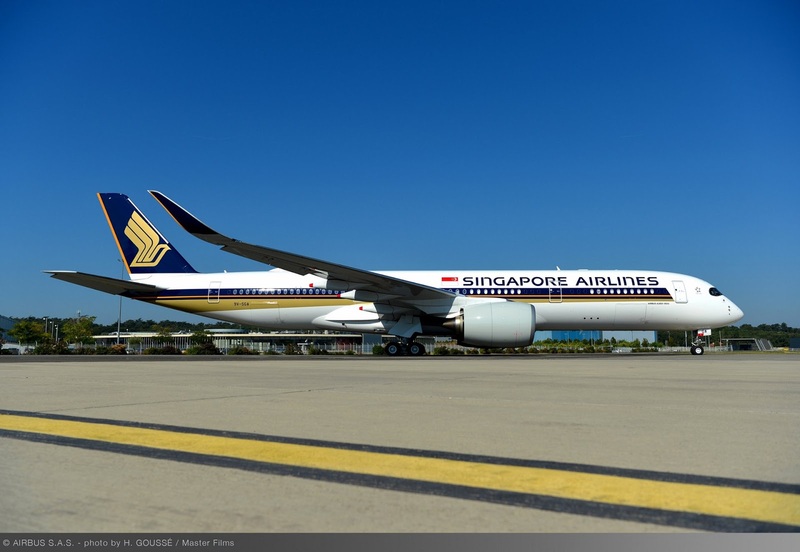 The first two A350-900ULRs will be used for the launch of Singapore-New York services while subsequent aircraft will be used for Singapore-Los Angeles services commencing on 2nd November 2018, as well as to increase frequency on the existing Singapore-San Francisco route. By the end of 2018, SIA will link Singapore and the United States with 27 weekly non-stop flights. 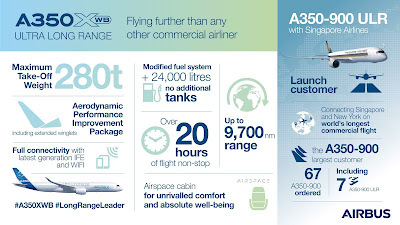 The A350-900ULR is designed for a more comfortable travelling experience with features such as higher ceilings, larger windows, an extra wide body, quieter cabins and lighting designed to reduce jetlag. Its carbon composite airframe also allows for improved air quality due to a more optimised cabin altitude and humidity levels. The aircraft also features the latest in-flight entertainment and WiFi systems, with full connectivity throughout. With the delivery of the first A350-900ULR, Singapore Airlines now has 22 A350-900 aircraft in its fleet, with 45 more on order including the six additional ULR variants. 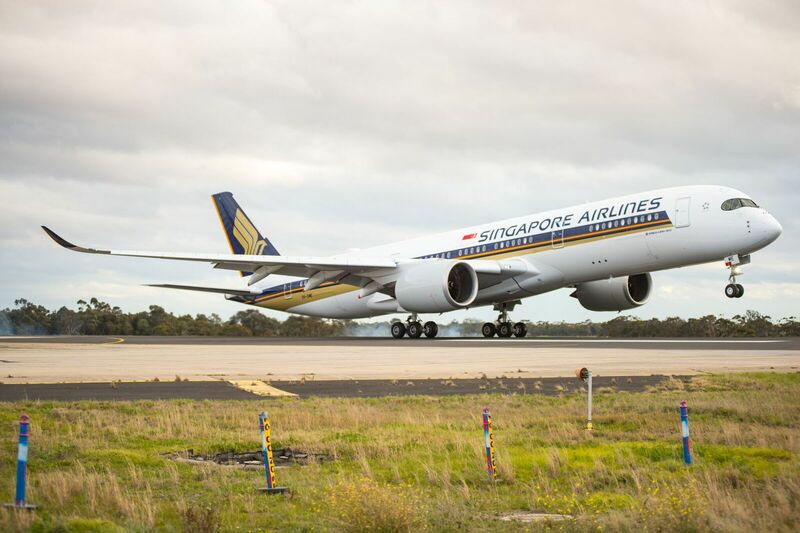 Singapore Airlines currently operates 40 flights per week to the US cities of Houston, New York, Los Angeles and San Francisco. With the new ULR flights, total US flight frequency will increase to 53 per week by December. 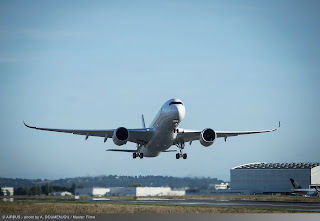 As at the end of August 2018, Airbus had recorded a total of 890 firm orders for the A350 XWB from 46 customers worldwide, already making it one of the most successful widebody aircraft ever. Almost 200 A350 XWB aircraft have already been delivered and are in service with 21 airlines, flying primarily on long-range services.